We believe that by digitizing the quality of movement and making emotion visible during movement, we can support people in their movement and lead them to an optimal performance and motion experience. The aim is to give people a better understanding of their physical activity by linking motion and emotion, leading to an overall new (digital) experience. 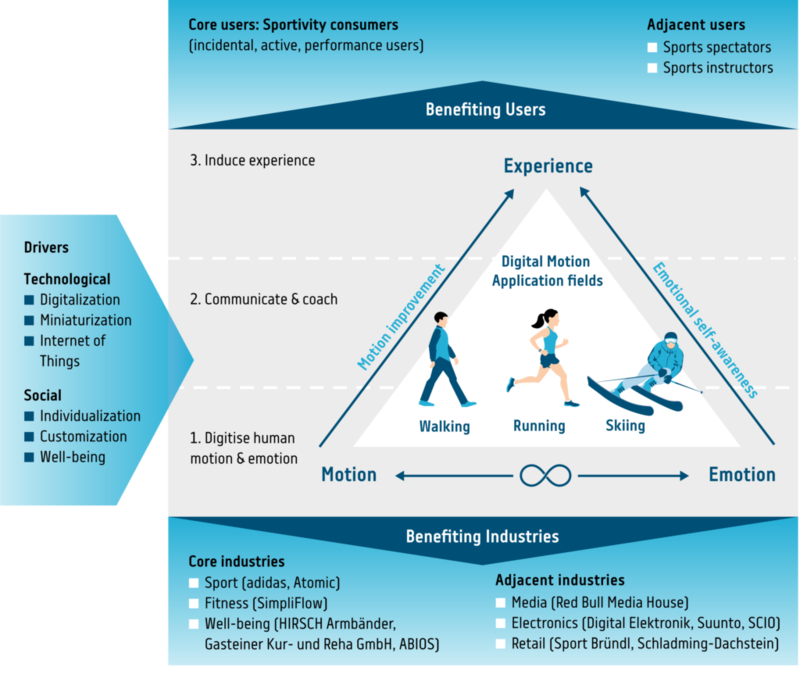 Digital Motion envisions to become one of Europe’s leading R&D projects in the field of Digital Sports. For the first time, DiMo facilitates the link between motion and emotion enabled through the next generation of smart sports equipment.